‘…so many songs on the record were born out of wanting to write the language and the prayers that go along with what God is doing in the community already. The goal wasn’t to write songs that were my expression necessarily of what is God doing in my life or what is my vision or what am I supposed to say through these songs. 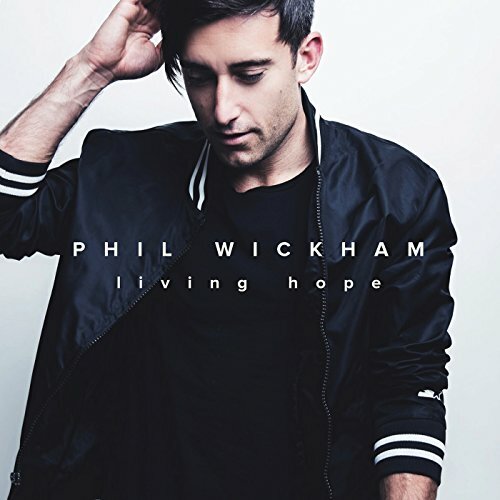 It’s more for the church…’ Phil Wickham is by far one of my favourite worship leaders/artists, alongside others like Paul Baloche, Tim Hughes, Meredith Andrews, Matt Maher and Kari Jobe. In fact, Phil could actually be a revolutionary, and pioneer of the modern worship music genre (if ever there is one at all! ), alongside others like Crowder (or as he once was, David Crowder*Band), Delirious? (and even Martin Smith now! ), The Sonflowerz, All Sons and Daughters and more recently Rend Collective and UNITED, all of whom have taken a stand to deliver worship songs and music that doesn’t necessarily quite fit the mould of it being worship music to begin with…and that’s ok.
You’ve noticed that I’ve ‘forgotten’ to include Chris Tomlin there in the list…it’s not because I don’t love his music, it’s just that much of his music can be musically safe and not that artistically inclined…which is ok, but sometimes when I want to hear music, I want to hear something that stretches my own concepts of what worship music is and what it should be, verses what I have always believed it was from the beginning- and sadly, Chris Tomlin doesn’t really do that. Nevertheless, Phil’s music is a great start for anyone who loves worship music in general; and want to hear something that isn’t necessarily that tight to the confines of radio-friendly music. Sure, his music is congregational, but still there’s enough there for Phil to go outside the lines of what is considered ‘worship’ music; and deliver something that on the surface doesn’t sound much like something you’d sing in church, but when looking at a deeper level, you definitely could. And this is very much what it is with his new album Living Hope, slated to release in a few days time on Friday 3rd August (which features songs like the title track, ‘Great Things’, ‘Till I Found You’ and ‘How Great is Your Love’, recently recorded by Passion last year). Much of Phil’s new music, particularly ‘Great Things’, ‘Living Hope’ and ‘Till I Found You’, are some of my favourite worship songs ever of 2018. In fact, Living Hope as a whole could even rival other worship albums God of the Impossible (Lincoln Brewster) and Good News (Rend Collective) as one of my favourite worship albums of 2018 thus far! Both ‘Great Things’ and ‘Till I Found You’ are some of my favourite songs on Living Hope, and are some of the most upbeat songs on the album. Both these songs have become included within a selection of songs that are the soundtrack of my life right now, and I have been blessed to hear such praise songs that stretch the boundaries of worship music in general. Both are very pop-synth-electronic, both not really sounding like worship songs at all…and maybe, just maybe, that’s alright. Phil with these two songs especially have shattered my own perceptions and opinions at what I myself reckon worship music should be. Both songs have a ‘Your Love Awakens Me’ vibe, which is great considering that Phil and his music, alongside Crowder, is one of the only upbeat worship artists currently now. It’s not to say that I reckon reflective and subdued music doesn’t have its place, yes it does, it’s just that upbeat worship music is rarely done right- it’s either filled with lots of electronics a la Young and Free, or just plain upbeat, when the lyrics and words suggest and reflect something else. Both these two songs defy such trends and assumptions, as ‘Till I Found You’ boasts a electronic R&B sound, something different that Phil hasn’t really done before- a very retro feel. With electronic drums and hand claps littering the track, we are met with the message of hope and comfort, that when we meet Christ for the first time, we can testify that ‘…I never knew anything lasts forever, till I found You…gone are the days of chasing after what won’t last, I’m done with building these castles, they crumble like sand, knees on the floor, I finally found that everything I needed was always right in front of me, You gave me a name, and You changed everything…’; while ‘Great Things’ has a corporate worship feel, and feels like a song that you know you haven’t heard before, but you think you have, all throughout the song…I’m sure you’ve listened to songs like that. ‘Great Things’ was that for me. It is a song that could be the next ‘At Your Name’ or ‘This is Amazing Grace’ if it isn’t played on the radio to death in the upcoming months (which I’m sure it could be!). Nevertheless, both ‘Great Things’ and ‘Till I Found You’ is everything you could ever think of in a Phil Wickham song, as Phil brings to us some of the best that this new album Living Hope has to offer! ‘Song in My Soul’ and ‘How Great is the Love’ are two other tracks that have been released prior to August 3rd, as Phil unveils these melodies to the public before release date. While these two songs don’t have the most artistic flair and music ingeniousness that is ‘Great Things’ and ‘Till I Found You’, Phil still conveys heartfelt messages in these two tracks that centre the middle of the album thematically and lyrically, as Phil invites us to partake in worship songs that are certain to flood through churches around the world in the upcoming months ahead. ‘Song in my Soul’, a duet with Gotee Records songstress and rapper Hollyn, shows us everything that a pop ballad ought to be, as this soaring anthem reminds us all that there is and always will be a song inside our soul, swelling up and longing to be overflowing- all because of what He has done for us, and our response to such a realisation of what He has undertaken for us to be reconciled with Him. Both Phil and Hollyn provide heartfelt performances as this melody starts to become one of my favourite duets for any worship song, within recent memory. ‘How Great is the Love’ was first recorded by Passion in 2017, with worship leader Kristian Stanfill leading the song, so for Phil to record this track which he himself had a hand in writing is pretty good. Leading into hearing this song for the first time, I knew it was familiar, but being a year or so since I heard Passion’s version, I wasn’t sure where I heard ‘How Great is the Love’ from…until it finally clicked. Phil’s ethereal voice and passion and seemingly oozes out of the track is what creates a unique presence about the song, different from Passion’s version, as this version is studio whereas the other was live. For the message, Phil presents the vast and wide quality of God’s love, describing the fact that God’s love is immeasurable, uncomprehending, even unfathomable, as we continue to learn and be marvelled at what God’s love can actually envelop when it comes to covering us in His grace abundant. For Phil’s recording, 5:06 length isn’t merely enough, when I started getting into it, the track seemingly stopped and segued into a 2 minute ‘Boundless’- which really acts as a ‘free worship’ track, a reminder that even if the song segues into another, the reflective mood and heartfelt message can remain; and this is what was true of the song. One of my favourites on Living Hope, Phil continues to make me wonder why he is not a mainstay amongst WOW Hits compilations over the years. Maybe WOW Hits 2019 is the start of something new? Throughout the rest of the album, Phil continues to bring to us themes of hope and encouragement as each song is one that can be placed in a worship setlist at church, and hopefully listeners and the congregation will respond to something unique and upbeat, something that is indeed different than much of the worship music currently used on a Sunday morning around the world. Not to discount the worship songs out there that are not Phil’s music, it’s just that Phil has something extra and something passionate, that much of todays worship melodies seemingly lack. Still, Phil’s music is great and continues to paint a snapshot of someone who’s not afraid to travel across the confines of what worship music ought to be. “Breath Away” is a song where the listener is brought to a place of awe, as Phil presents a message of having our breath taken away because of the beauty and majesty of Jesus, the central perfector of our faith, while ‘Wild River’ has a radio feel as we are met with imagery and metaphors as Phil describes God’s goodness and mercy as flowing like wild rivers- untamed, and just flowing and filling up everyone, not just a select few. God’s goodness and mercy showers on everyone, believers and unbelievers, whether people acknowledge His presence in their lives or they don’t, and ‘Wild River’ is a reflection of this. ‘Anthem’, which ‘borrows’ a few music stanza lines from Cory Asbury’s ‘Reckless Love’, stands at a formidable 5:19 and brings to the table a modern-style hymn, declaring that as a result of what He has done, He ought to be the anthem of our hearts, the one that we fix our eyes and gaze upon; while songs like ‘Tethered’ and ‘Eyes Fixed’ don’t really sound like Phil Wickham songs at all- the former uses the imagery of how rope strands are tethered together to create a strength and foundation, to remind us all that being tethered to God and His desires for us is something that will alleviate all the pressure placed upon us, sometimes by ourselves; while ‘Eyes Fixed’ presents some Kevin Max vibes as co-writers Nick Herbert and Ben Cantelon present a song that allows us to have a melody to remind whom to set our eyes before when trials and tribulations come, as the lyrics suggest- ‘…through fire or flood through wind and the waves, I’ll follow Your voice through the darkest of days, whatever may come You’ll carry me through, You are the One I choose eyes fixed on You…’ The album then ends with ‘Revive Us Again’, a prayer for revival to come again to this land that is in desperate need of a Saviour (a similar theme to the very old Carman song, ‘Revive Us, Oh Lord’), as well as ‘Christ is Risen’, a song similar in theme to the melody written by Mia Fieldes and Matt Maher, this time Phil co-writes with Mack Brock and Brian Johnson. And then there’s ‘Living Hope’, the title track. Released in March 2018, this song is presented like a modern hymn, and co-written with Bethel Music’s Brian Johnson, we are reminded that often hymns can come to life now as it did back when songs were written years and years ago. As Phil relays himself, ‘…The way I see it there are two kinds of hope. One wishes with anticipation and the other waits in expectation. The first is based on desired outcomes in an uncertain future, the other is rooted on the ever-faithful promises of a never-failing God. The hope of the Christian is more than just waiting for a brighter tomorrow. Just as our hope is placed in HE WHO IS LIVING this hope inside of us becomes a LIVING THING. Our confident expectation in the promises of a future where Jesus reigns forever informs all of our present-day actions. Our words, thoughts, choices, perspectives, plans, dreams, and goals all shaped by the incredible promise of eternal life in Him. God’s past faithfulness propels us into trusting Him with our future…’ The song was entirely written by Phil and Brian via text message over the last year, and reminds us all of the hope we have in the Lord, the living one that allows us to be certain of the future because we know who’s with us right by our side. With this song certain to become a classic in the near future, this 5:30 song is a must-listen if you enjoy worship music, period. In fact, this song is a must on WOW Hits 2019- I’d be pleasantly surprised if this song doesn’t make it on WOW Hits 2019- that’s how powerful and prolific I reckon this song is! As Phil relays a message behind ‘Great Things’ that I reckon serves not only a message of the song, but I think the message of what is occurring and transpiring in our lives right now, let us reflect upon these words by Phil- ‘…you know those amazing stories in the Old Testament of the Bible where God is performing all of those incredible miracles? As a kid I always enjoyed hearing those stories. Parting the sea, the battle of Jericho, Daniel in the Lion’s Den, David and Goliath….they’re all pretty amazing. But as I grew older I began to realize that these stories are not just accounts of amazing things God has done in the past. They are also pictures and metaphors of what He is doing presently. Not out in the world, but deep in our souls. When there was no possible way for us to be saved God made a way. He “parted the sea” of our own sin and shame by the cross and the empty grave. When the lies of fear and condemnation seek to define us God “silences those lions” and tells us who we really are- forgiven and set free. Jesus tears down the walls and brings down the giants. Our sins carried upon His shoulders and nailed to the cross. Our life and victory won as He rose from the grave. There is hope and life in Him TODAY. He truly has done and is doing GREAT THINGS…’ And with that, I’m gonna listen to Phil’s new album again and again, because this album is for anyone who loves music in general, who loves worship that isn’t the ‘run-of-the-mill’ like Chris Tomlin (sorry, Chris), but rather, something unique, fresh, emotive, powerful and heartfelt, all of which is shown very much throughout Living Hope and much of Phil’s songs of the past. Well done Phil for such a project that stands tall amongst many of the worship album releases of 2018 thus far. This is a perfect album for anyone who has enjoyed much of Phil’s music catalogue previously, or those who love and appreciate worship-style music with more of a creative edge. Can’t wait for people to be encouraged and impacted by such an album as this in the upcoming weeks and months ahead!